Eggstravaganza 2019 in Butterfield Park at The Meadows! Eggs, Trains, and the Easter Bunny — it can only be Eggstravaganza time! I know that it’s hard to think about Easter already, but this is one of the largest celebrations in the neighborhood. The annual spring tradition happens on Saturday, April 20th, from 1- 3 p.m. at Butterfield Park here in The Meadows. For those of you that are new to this event is one of the most popular in the neighborhood. 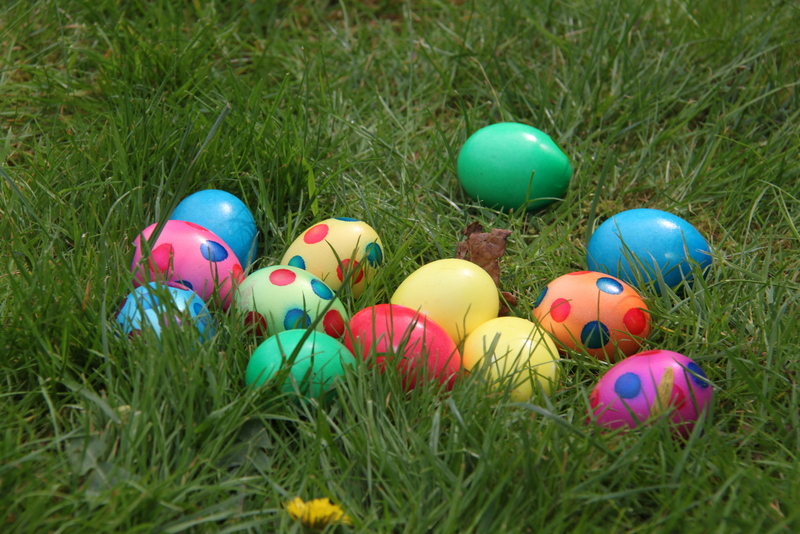 The entire day culminates around various Easter Egg Hunts for your kids featuring 3,000 eggs. Have a little one? Don’t worry! The hunts are organized into age groups so that it’s fair and you don’t have to worry about older kids snatching all the eggs from the younger ones. Attendance to the egg hunt and sponsor booths are free. If you’re a resident of The Meadows you can get a wristband to enjoy the rides with a signed waiver for free. You’ll need to bring your driver’s license or pool key fob to prove you’re a resident. However, if you’re not a resident of The Meadows, the cost of a wristband will be $5 (cash only). I’m not one for standing in line, so if you’re like me, and want to get ahead of the game, Meadows residents can fill out your ride waivers and get your wristbands early by stopping in at The Grange from April 15-19. Those waiver lines can get long, so don’t waste time during the event, get your wristbands early! Eggstravaganza is a fun tradition for the whole family. It’s an opportunity to see friends and neighbors you haven’t seen throughout this crazy winter. However, Mother Nature is unpredictable so stay tuned to The Meadows Facebook page for any weather and event updates. Don’t miss Eggstravaganza 2019, Saturday, April 20th from 1-3 p.m. at Butterfield Park.